Oxford University Press, USA, 9780199571314, 144pp. From deciding the best day for a picnic, to the devastating effects of hurricanes and typhoons, the weather impacts our lives on a daily basis. Although new techniques allow us to forecast the weather with increasing accuracy, most people do not realize the vast global movements and forces which result in their day-to-day weather. 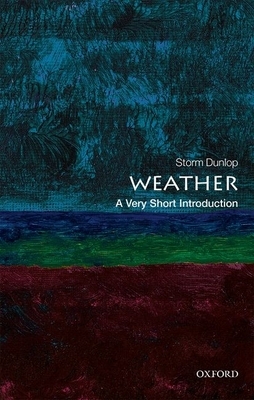 In this Very Short Introduction, Storm Dunlop explains what weather is and how it differs from climate, discussing what causes weather, and how we measure it. Analyzing the basic features and properties of the atmosphere, he shows how these are directly related to the weather experienced on the ground, and to specific weather phenomena and extreme weather events. He describes how the global patterns of temperature and pressure give rise to the overall circulation within the atmosphere, the major wind systems, and the major oceanic currents, and how features such as mountains and the sea affect local weather. He also looks at examples of extreme and dangerous weather, such as of tropical cyclones (otherwise known as hurricanes and typhoons), describing how "Hurricane Hunters" undertake the dangerous task of flying through them. We measure weather in a number of ways: observations taken on the land and sea; observations within the atmosphere; and measurements from orbiting satellites. Dunlop concludes by looking at how these observations have been used to develop increasingly sophisticated long and short-range weather forecasting, including ensemble forecasting. Storm Dunlop is an experienced freelance writer in the field of meteorology, and has been published by Springer, Oxford University Press, Cambridge University Press, and others. He compiled the Oxford Dictionary of Weather (OUP, 2008), which is now in its second edition. Among his many other published works are A Guide to Weather Forecasting (Philips, 2013). He has also lectured widely on the subject.